DETROIT - General Motors Co said on Tuesday it will set up a $246 million facility backed by funding from the U.S. government to build electric motors to power hybrids and possibly pure electric vehicles. About 200 jobs will be created to double the workforce at an expanded GM plant in Baltimore that currently makes transmissions, GM said. It will be the first U.S. electric motor manufacturing plant operated by a major automaker. The move is part of a push by GM and the Obama administration to develop technology for electric cars in the United States and cut into the lead by Asian automakers and suppliers in that potential boom market. 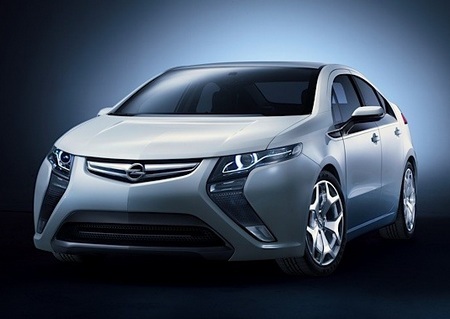 The first GM-designed and built electric motors are scheduled to appear in 2013 in rear-wheel-drive hybrid vehicles. GM said it would consider building motors in-house for a broader range of electric vehicles. Electric motors -- the equivalent of internal combustion engines that power conventional vehicles -- convert electrical energy from batteries to mechanical energy. GM's investment in electric motor technology will be underwritten in part by a $105 million grant awarded by the U.S. Department of Energy in August, the company said. The U.S. government holds 61 percent of the company after investing $50 billion in it. The investments are part of the top U.S. automaker's efforts to build more fuel-efficient vehicles and reshape its public image after emerging from a U.S. government-financed bankruptcy in July. "By designing and manufacturing electric motors in-house, we can more efficiently use energy from batteries as they evolve, potentially reducing cost and weight," GM Vice Chairman Tom Stephens said. Lagging rivals such as Toyota Motor Corp on the conventional gas-electric hybrid technology, GM has been rushing to take the lead in the market for plug-in hybrids such as the Chevrolet Volt slated to be released later this year. The Volt, designed to run for 40 miles from a single charge of a lithium-ion battery pack, has attracted intense interest as one of the first rechargeable, battery-powered vehicles set to launch in the United States. GM is building lithium-ion battery packs for the Volt at a refurbished Michigan factory by assembling lithium-ion cells supplied by South Korea's LG Chem. President Barack Obama has set a goal of putting 1 million rechargeable or "plug-in" hybrids on U.S. roads by 2015, a target that many industry executives and analysts see as a stretch because of the high cost of the technology. GM says that, once suppliers to the Baltimore plant and employers in the area are included, the expansion will either retain or create about 1,700 jobs. The Baltimore plant opened in 2000.